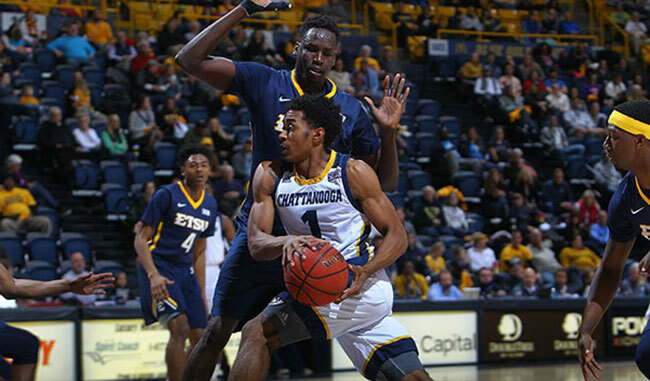 After a big win versus UNCG on Thursday night the Bucs continued their winning ways with 89-48 blowout win over VMI and senior guard Desonta Bradford became the 41st player in ETSU basketball history to score over 1,000 points. With the win the Bucs improve to 5-0 in the Socon and are no longer tied for first place thanks to a Furman loss at Wofford. The ETSU defense continued to impress as they held VMI to only 26% shooting overall and 23% from the 3-point line. Additionally ETSU forced 15 turnovers and 10 steals. 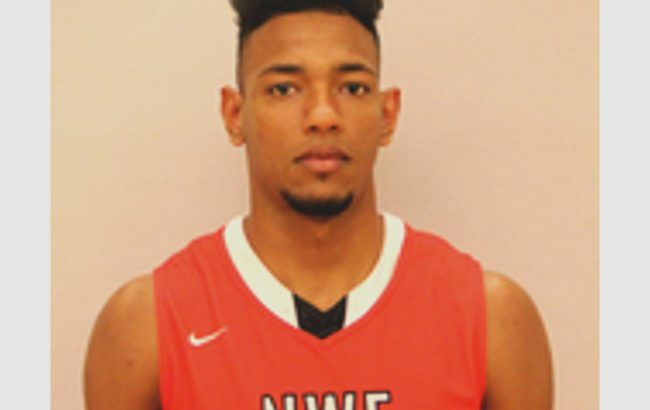 The Bucs were led in scoring by both Devontavius Payne and David Burrell, both scored 17 points. Payne was 4-6 from the 3-point line and was one rebound shy of a double double. The ETSU bench also had a productive night totaling 55 points. The Bucs have dominated the conference games so far by winning by an average of 21.4 points. 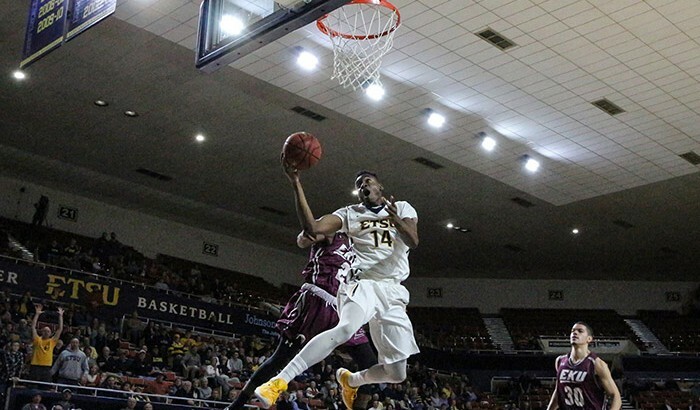 ETSU has won 12 of its last 13 games and 8th in a row. The 8 game winning streak is the longest winning streak since 2010-2011. The 5-0 conference mark is the best conference start for ETSU since 2008-2009 when ETSU also started 5-0 in conference play. The Bucs continue to move up in the rankings. At the time of this post ETSU is #59 in the Kenpom rankings, #62 in the ESPN BPI rankings and #5 in the CollegeInsider top 25. 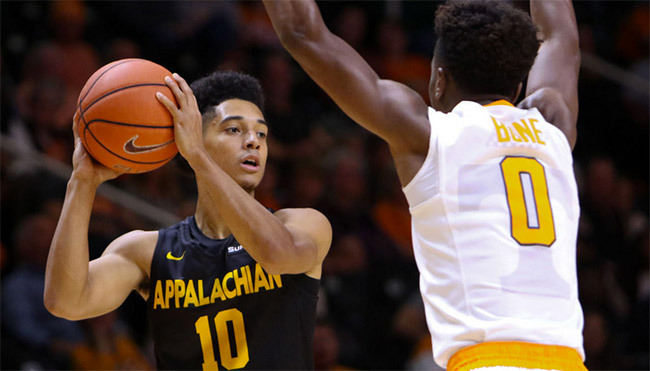 The Bucs have another big game on Thursday night when they have to travel to Greenville, SC to face a Furman team that just suffered it’s first loss in conference play. This game has huge implications for the the Bucs, if they can win it would put them two games ahead of Furman and make them a clear favorite to win the regular season. However, playing at Furman has been a challenge for the Bucs since they rejoined the Southern Conference. The Bucs are 0-3 at Timmons Arena since rejoining in 2015. The last time the Bucs won at Furman was during the 2003-2004 season. After winning the 2017 Southern Conference tournament last week the Bucs learned on Sunday that they will play the Florida Gators in the first round of the NCAA tournament on Thursday at 3:10PM in Orlando Florida. ETSU will be making their first trip to the NCAA Tournament since 2010 when they faced Kentucky as a 16 seed. This time around the Bucs will be a 13 seed, which is their highest seed since 2004. That year ETSU was a #13 as well and nearly upset Cincinnati, losing 76-73. ETSU finished the regular season at 27-7, just one win away from tying a school record for wins. The 4th seeded Florida Gators finished 24-8 and second in the SEC, however the Gators also lost three out of their last four, including a first round loss to Vanderbilt in the SEC tournament. Florida’s big man, John Egbunu, was also lost for the year due to an injury suffered on February 14th versus Auburn. ETSU and Florida have three opponents in common from the regular season. Mercer, Tennessee and Mississippi State. Like ETSU, Florida beat both Mercer and Mississippi State. Only difference is Florida won at home versus Tennessee by 13 points, where ETSU lost at home to Tennessee by four points. 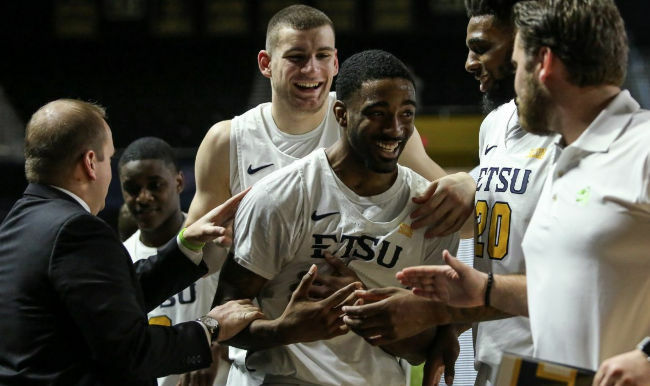 The Gators have opened as 10 point favorites but ETSU seems to be a favorite among several national sports broadcasters to pull off the upset, including Jon Rothstein of CBS and Jay Bilas of ESPN. 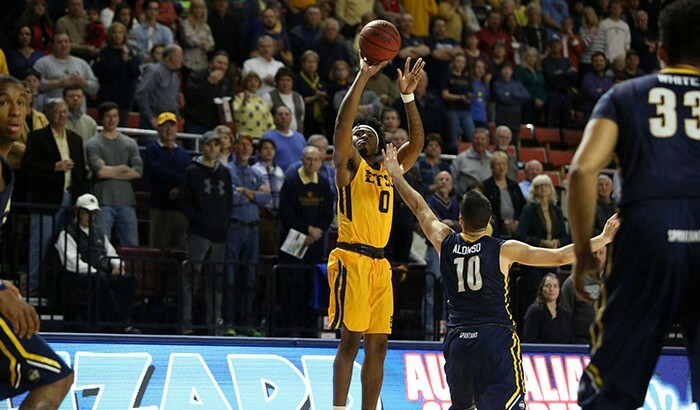 If ETSU wins it will be their first NCAA tournament win since 1992, which is when the Bucs famously beat the 3rd seeded Arizona Wildcats 87-80. 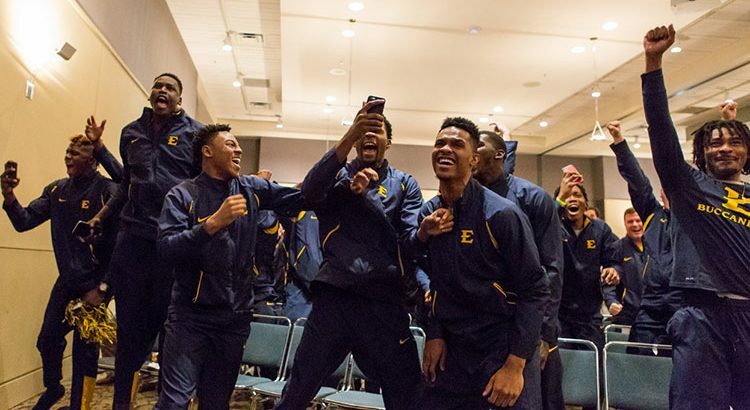 Below is the ETSU basketball’s team reaction to drawing Florida in the first round during the selection show.